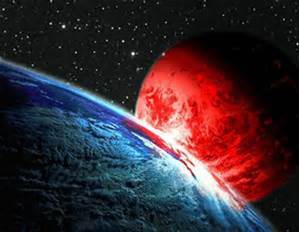 Nibiru, Planet X, Nemesis, The Destroyer, Wormwood, Hercolubus, Comet Typhon Is Nibiru real? Does it take Nibiru 3,600 years to complete one orbital journey? As you can imagine, the gravitational effects of a sizable planet moving close to the inner solar system would spell big trouble for planet Earth. Earth has been acting up lately with an increase in earthquakes, volcanoes, AND CLIMATE CHANGE, blending of seasons, and more. Open your mind a little and stop believing everything our so called scientists and NASA folks have to say. Every week NASA seems to have learned something new that was unthinkable. First you have to understand that we might be part of a binary solar system. NASA just found a binary solar system last year. It would explain the earth’s wobble which is still unexplained today. Would it be too far off to believe that a planet can share both solar systems?